An alternate title for this post is: How Wedding Planning Changed My Relationship with the Internet. To the obsessive, can’t-live-without each other kind of relationship which may or may not prove to be completely dysfunctional somewhere down the road. Well, I supposed the internet could live without me. He’s got lots of friends. 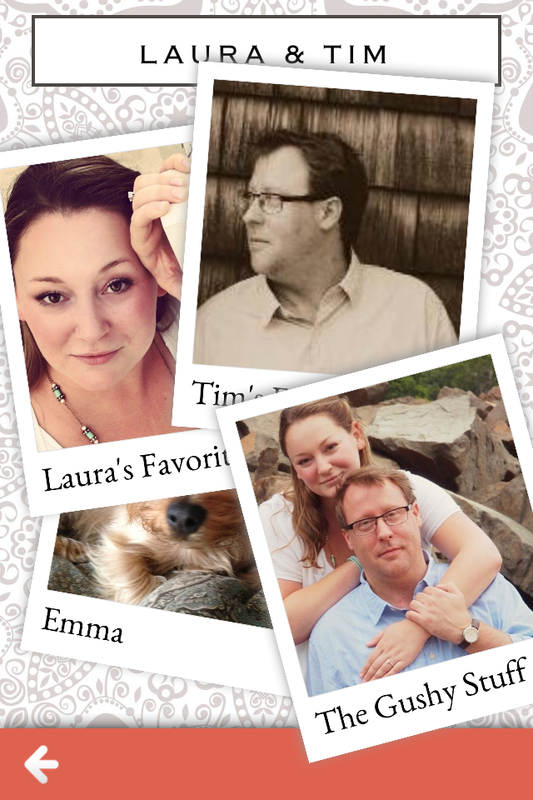 Whichever way you spin it, mine has been an internet & app based wedding-planning experience. 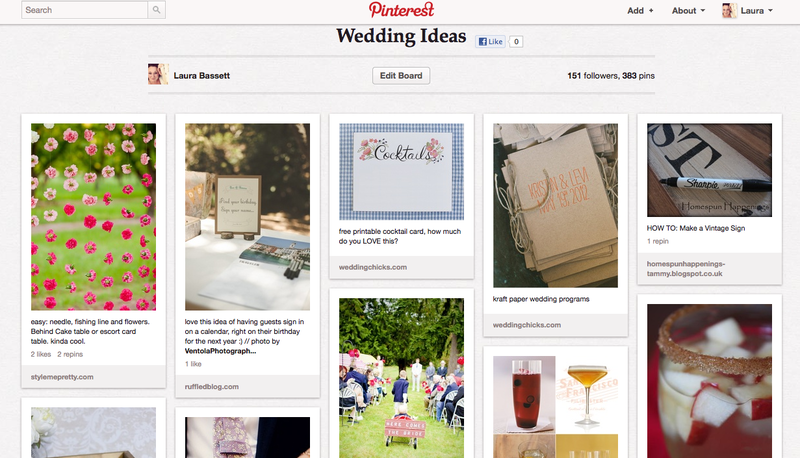 To be honest, I’m not sure how anybody planned a wedding before the internet/computers/Pinterest. Did our parents really sit around hand writing guest lists? Did they actually have to speak to vendors on the phone or – in person? – while narrowing down their choices? And where did they get ideas for their colors/dresses/invitations/etc. before blogs like Style Me Pretty existed (or, again, before Pinterest?). One of my many wedding planning boards. Isn’t it amazing that something like Pinterest- which has only been around for a couple of years, and only been widely used for less time than that- can feel so completely irreplaceable, so quickly? My discovery of Pinterest timed pretty much perfectly with my engagement, and so it has been my primary source of inspiration and vehicle for sorting all of the amazing ideas out there. But I’ve needed more than just Pinterest to organize my plans, and as a tech-savvy person, I’d like to share the main tools I’ve used on my computer and/or iPhone throughout this process. I’m also utilizing Google Docs to track my spending, keep my to-do lists up to date, and coordinate plans with my florist and band. Screenshot of my wedding docs in action. I’ve loved Etsy for years. As my crafting skills are just so very amateur, I take great pleasure in buying beautiful handmade items from the incredible artists on Etsy. I’m attempting to DIY some of my wedding elements, but am very happy for Etsy when there are some things I just couldn’t make myself! 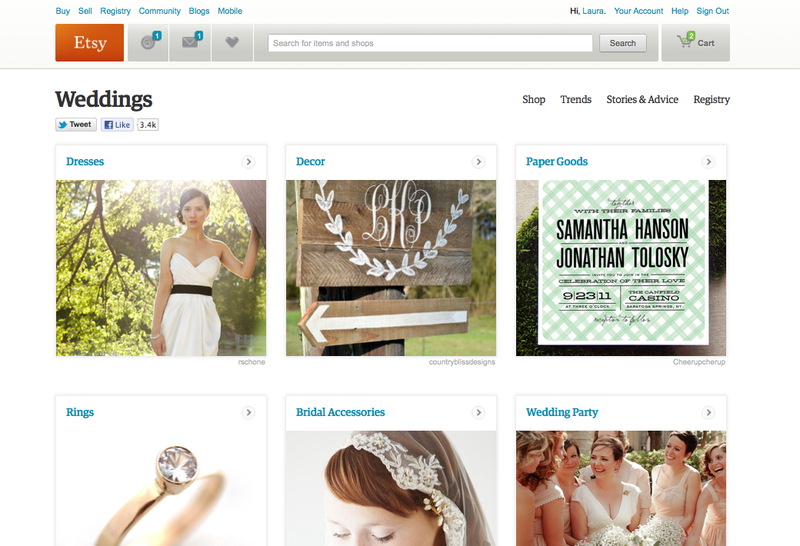 Etsy recently introduced an organized weddings section, complete with great suggestions, inspiration, and articles. 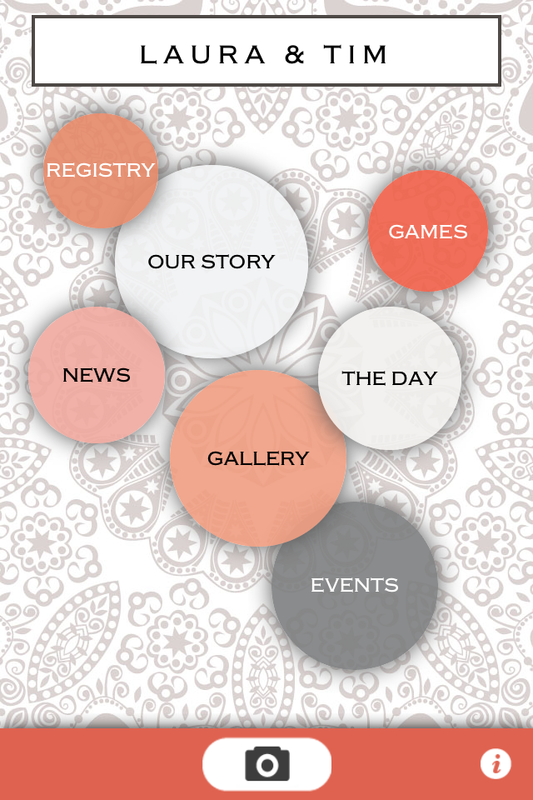 I downloaded several free iPhone apps from well known wedding services- like The Knot & Wedding Wire. 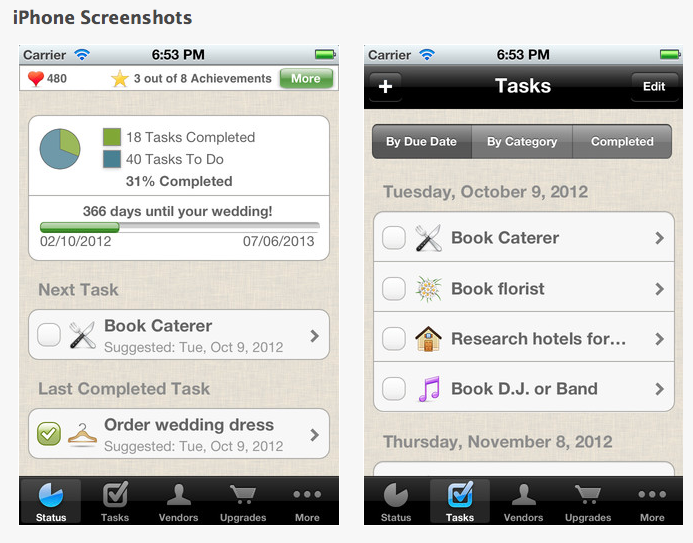 These are somewhat useful, but the app that really helps to keep me organized is Wedding Happy- free in the iTunes store. Wedding Happy keeps a list of tasks & helps keep you on track with occasional reminders. I discovered Appy Couple after already creating my wedding website on Wedding Wire, but I’m still planning to use the app to help get information out to our bridal party as the day approaches. Appy Couple is a free service that allows you to create a beautiful site for all of your wedding details, including a timeline, registry page, and fun features like games & a picture gallery. Once created, you invite your guests to download the app and sign in using your wedding code. I love the design, and think it is a very useful app! 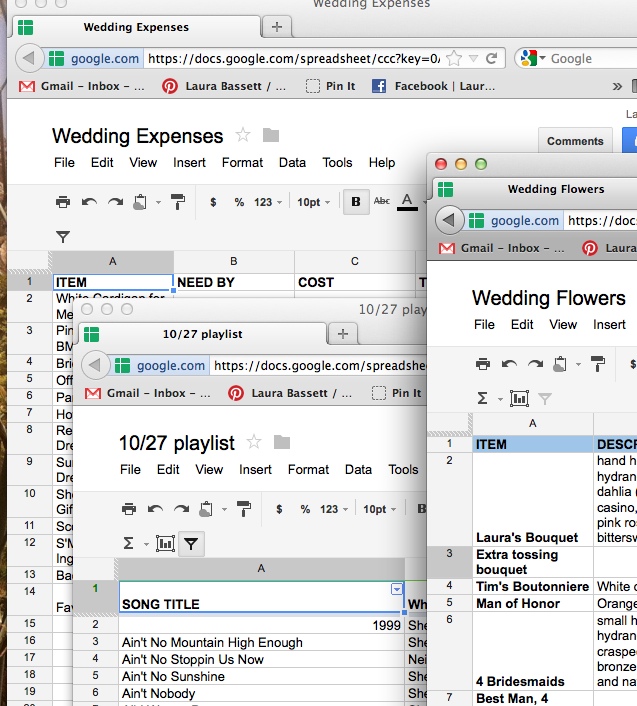 What internet resources or phone apps do you use to keep yourself organized, or plan your wedding?